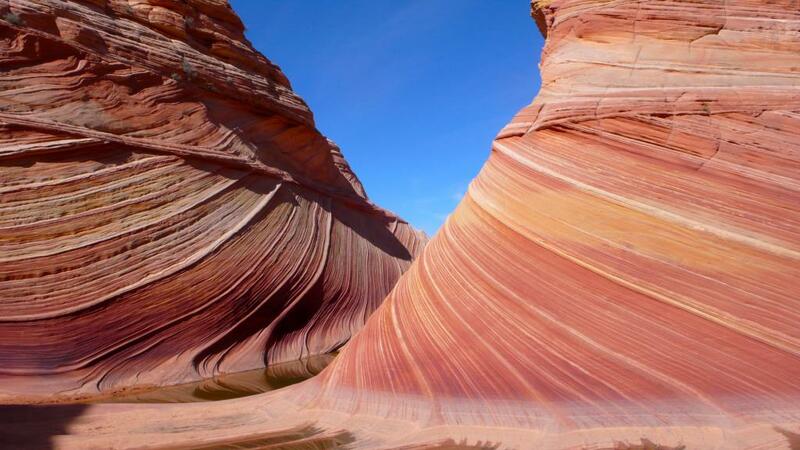 When planning our US road trip one of the places I was dreaming about visiting was the sandstone rock formation The Wave in Arizona located just by the border of Utah. It is located in the middle of the desert and it is a rather strenuous hike for even experienced hikers. The hike is open to only twenty people per day. So you will need a permit from the Bureau of Land Management to be allowed to take the hike. Ten permits are up for grabs in an online lottery three months in advance – and they are popular! And then they do an on-site lottery at the BLM office for ten walk-in permits that you can use the day after. They are equally popular, so our chances of winning were slim to none. We did not win the online lottery and when we arrived for the on-site lottery, we were among more than 100 other hopeful winners and felt rather discouraged. Nevertheless, we were fortunate to win the lottery for access permits the next day. It is a beautiful twelve-kilometer hike through the dry desert and across limestone mountain ridges. You are pretty much all alone in the hot desert and there is no signage, no mobile phone service and no shade in the scorching desert sun, so your best friend is the map given to you as you get your permits – and the four liters of water they recommend you bring with you. 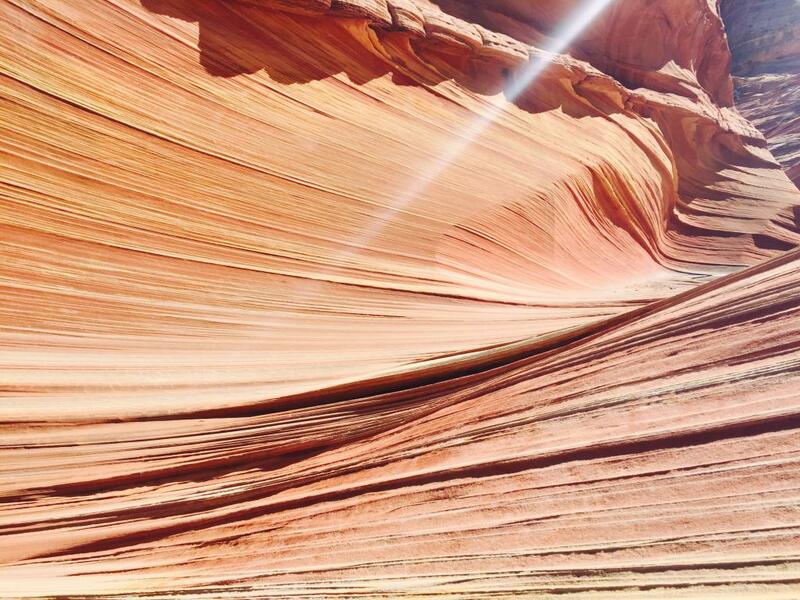 The slopes around the Coyote Buttes area, where The Wave is situated, are nothing less than stunning. 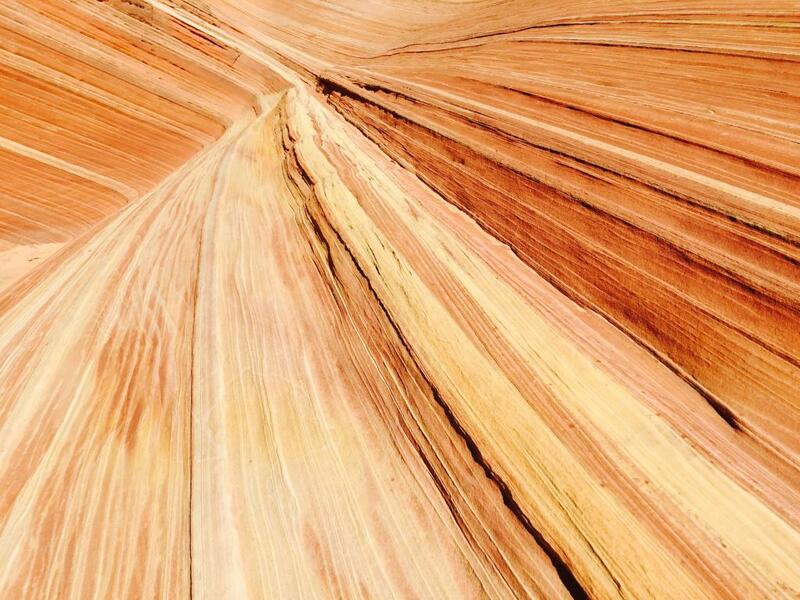 The erosion of the Navajo sandstone date back millions of years back to the Jurassic age. 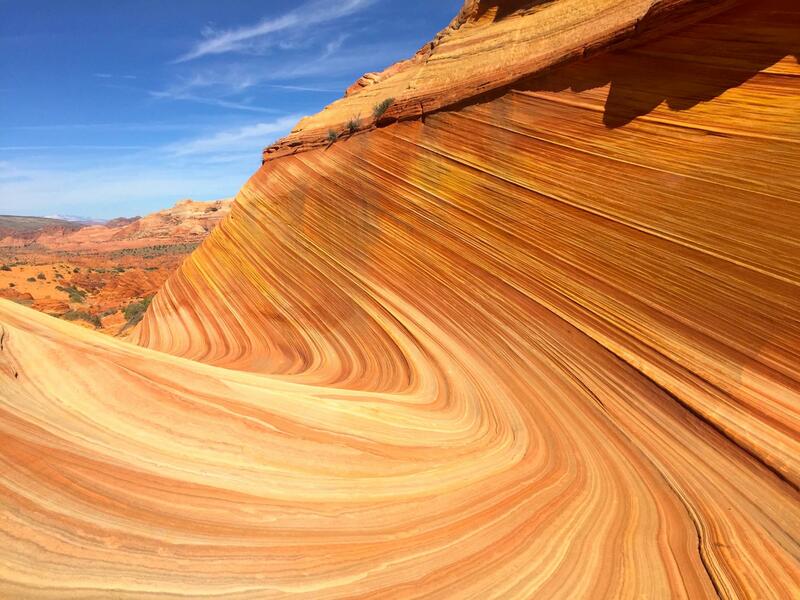 The colours of the sandstone change according to sun and shade, as well as the area in the Wave and it is spectacular. The area is rather small, but the beauty of the Wave will stay with you for a long time. Do not hesitate to go, if you are in the area. Win the permit lottery, venture into the desert and experience what only very few people get to experience. Calculate on spending at least 4-5 hours for the hike and exploration of the area around The Wave. It is an adventure of a lifetime.